Blogging for bacon: How I make (a little) money blogging! - C.R.A.F.T. Blogging for bacon: How I make (a little) money blogging! Surprise, I’m back! I finished the post, and was excited to share! Most people don’t start a blog with the intention of making money. You start because you’re passionate about something. My something happens to be creating really awesome free things! I would still be doing all the projects I do on C.R.A.F.T. regardless of the blog, money, or free products. I think that’s important. Blog Networks: A middle man that unites advertisers and publishers (if you blog, you are the publisher) to promote a product or service through some form of social media. This is typically in the form of paid posts. Affiliate Programs: When a company sells a product through your blog and you get a percentage of the sale. Direct Contact: When a company directly contacts you about promoting or advertising a product or service. By free advertising, I just mean, no one is directly paying me to put the ad there. I added the Silhouette and Clever Girls button because I love my Silhouette (they gave me a free one!) and I am proud to be a part of the Clever Girls Collective so I want to give ’em both some link love. 1. Clever Girls – First of all, who wouldn’t want to be part of something called, Clever Girls?! As a blogger, you apply to the Clever Girls Collective and will receive periodic (hilarious) newsletters and tweets announcing opportunities for you to sign up for twitter parties, paid posts, or events. See more info about applying to Clever Girls here. You can see a few of my clever posts here: Smoothie connoisseur and Giving back to you community. PROS: You only sign up to blog about products and services you are truly interested in, they are very up front about specifics, super helpful if you have questions about the products or post write up, and they always pay on time (by check or paypal). It’s also fun to be the first to hear about new products or services! PROS: No forms to fill out. The terms of the offers are very straightforward, and like Clever Girls, with the click of a button you can decide if you want to take the offer or decline the offer. Also, you can negotiate offers, which you can not do with Clever Girls. 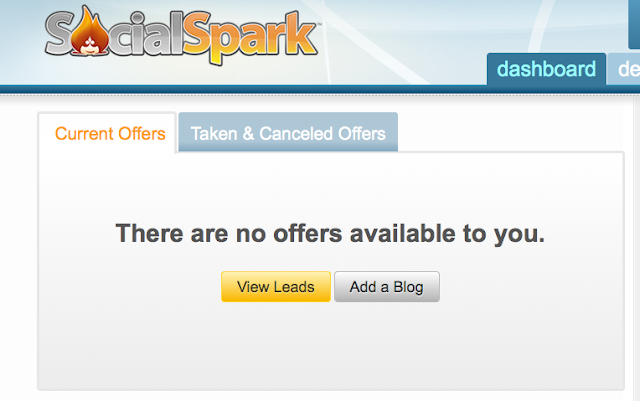 I have only ever accepted 3 offers from Social Spark. CONS: They only pay through paypal versus Clever GIrls which lets you choose check or paypal. Typically the leads I have on Social Spark are not as interesting as the opportunities from Clever Girls. Also, the post has to be written from the Social Spark platform, and will be posted to your blog by Social Spark (versus writing the post up in your typical format and posting it yourself). Make sense? There are lots of affiliate programs out there. make sure you do your research and go with your gut. If you don’t love the product, your readers probably won’t either. Pro Blogger wrote a good article about how to find affiliate programs that fit with your blog. 1. Canvas People – This was the first way I ever made money on C.R.A.F.T. (It was an $8 check!) If you sign up through me (HERE), I also make a commission (although this will only be my second time to attempt to refer anyone) I’ve made 2, here and here. PROS: I really like the photo canvases they create, and if nothing else I am happy that every time I buy one, I get $8 back 🙂 Their system is really easy to use, and they send you a check every month. 2. Amazon Affiliates – I’m pretty new to this one (as of Dec. 2011). Darren Rowse at Pro Blogger has some great tips on how to make money with the Amazon Affiliate Program. Basically, you get 4-7% of anything people by when they go to Amazin through your site. The How to fix a broken IPhone Screen is my #2 most viewed post, and I have a Amazon link to the site were I bought the replacement kit. PROS: It’s easy to set up, and fun to pick out things I love, want, or already have. CONS: Proving to be pretty awesome so far… I made $100 bucks in December! 1. AdBrite – Adbrite is a Google Adsense alternative. I’m new to AdBrite, so check out the Frequently Asked Questions for publishers. PROS: All you have to do is add html code to your blog. They have many forms of advertising (Banners, Text, Full Page Ads and Video Ads) , but I only use the ads like you see above. CONS: My only complaint are the ads with sound. I had 2 ads like the one above, but for whatever reason the other ad was constantly advertising movie trailers. I e-mailed their customer service department who said they changed my settings to not allow sound. It worked with one ad, and not with the other. I deleted the one that was making lots of noise and that fixed the problem. 2. Rivit– This is a niche ad network that targets bloggers, indie publishers, or media property that focuses on DIY, crafts, hobbies, or home improvement. You can apply here. PROS: Wonderful customer service! 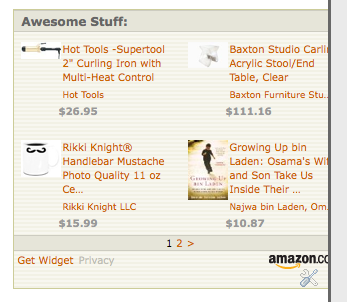 The ads from Rivit are typically from companies I truly enjoy shopping at (West Elm, Ikea, Pottery Barn). They pay every month with no minimum amount. I hope this helped. If you have any questions leave them in the comments or email me… I am happy to tell you what I know! PS: Young House Love talks about how they make a living blogging and Design Sponge wrote Advertising 101 for Bloggers. Thank you for sharing! I knew about a couple things, but not all! Will be reworking some ads on All Things Fee! Wow! Terrific information! I have just begun with ads and this is such useful information. Thanks for sharing your real experiences with us newbies! Thank you for the detailed information. I'm going to check everything out! Just a note: Since I live in CO I am not eligible to do the Amazon Affiliate program so, it is not available to everyone. I started my craft blog just over a year ago and have reached a point where I need to decide just how much time I want to put into it. This is enlightening…gives me lots of things to think about, and some great directions to go in : ) Thanks for sharing this post! Thanks so much for these tips! I love blogging, I always have. (I had a blog for family and friends for years.) But I definitely want to be able to help support my family at the same time. Thanks … great information, as always. You're my key resource for monetizing my blog. I joined Rivit a while ago and I'm checking into Amazon Affiliates … one question though: do you only make money if someone buys the product you showed on your site or do you make money off anything they buy after linking through from C.R.A.F.T.? Thanks for being so helpful. I have followed your blog for a while now and finally got the guts to start my own. Not everyone is always willing to share all their secrets to success. I'm not sure when I'll be ready for ads and making money, but it still to have some goals to set and the steps to get there! Thanks so much for the info! I'm thinking it is time that I start to justify all my blogging time! Wishing you a fun filled New Years and fabulous 2012! Such great information, thanks so much for sharing! 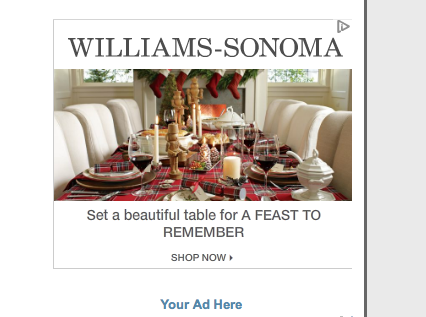 To a new blogger many of these ad options can get confusing. These details are so helpful. Happy New Year! This is a great article and very informative! I am going to try some of your tips to my blogging and see what happens 🙂 Thanks for the awesome info! Wow! This post is so informative! Thanks for being so upfront and to the point with your info! This is so helpful Jamie! Thank you for the wonderfully informative post! I’ve been a crafty blogger for about 18 months and had a blog relating to my Peace Corps experience before that. Now I’m a new mom (my baby girl is just 2 months!) and it made me start to think about turning my blog into something that could help make ends meet a little easier. I currently have a free wordpress site and I’ve heard that I would need to upgrade to a paid one if I wanted to get advertising. Do you know anything about this? Also, is there a minimum of traffic for a blog that advertisers look for?